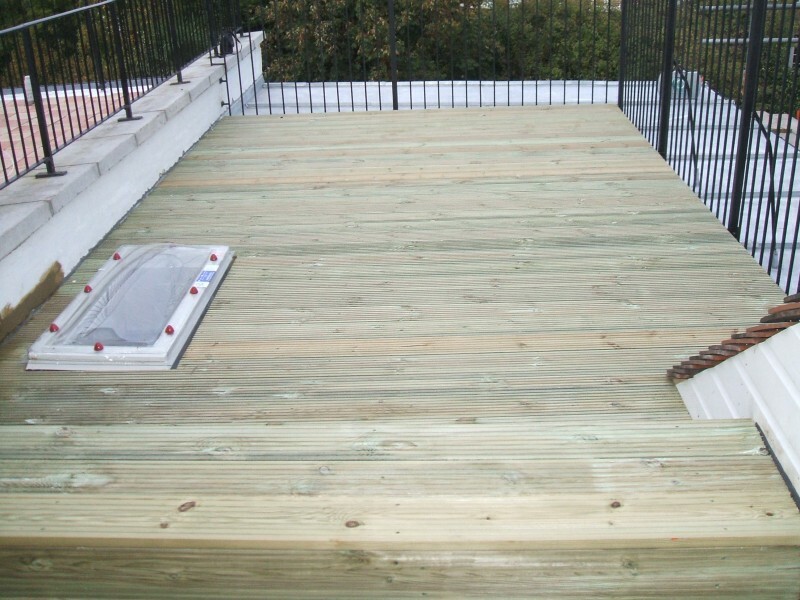 This small rear addition flat roof was fitted with an Index felt torch on system, then the area was covered with decking. 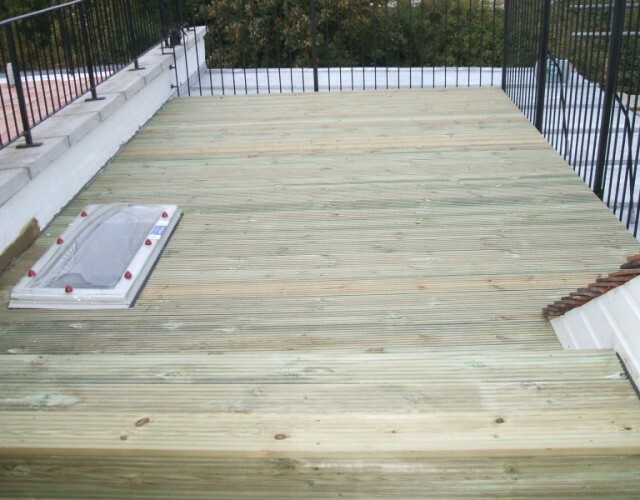 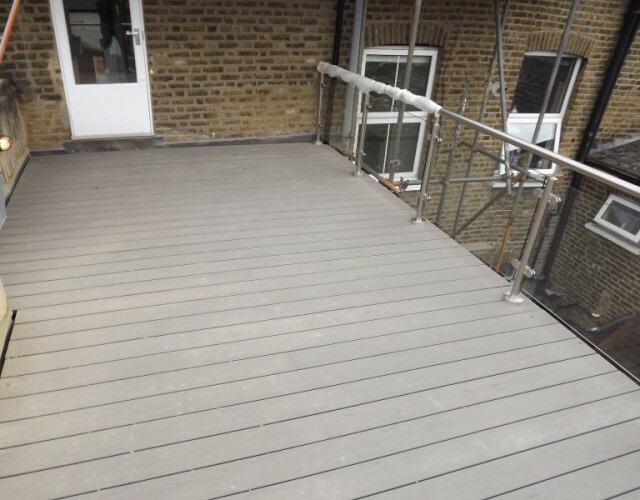 A composite decking fitted to a rear addition roof terrace. 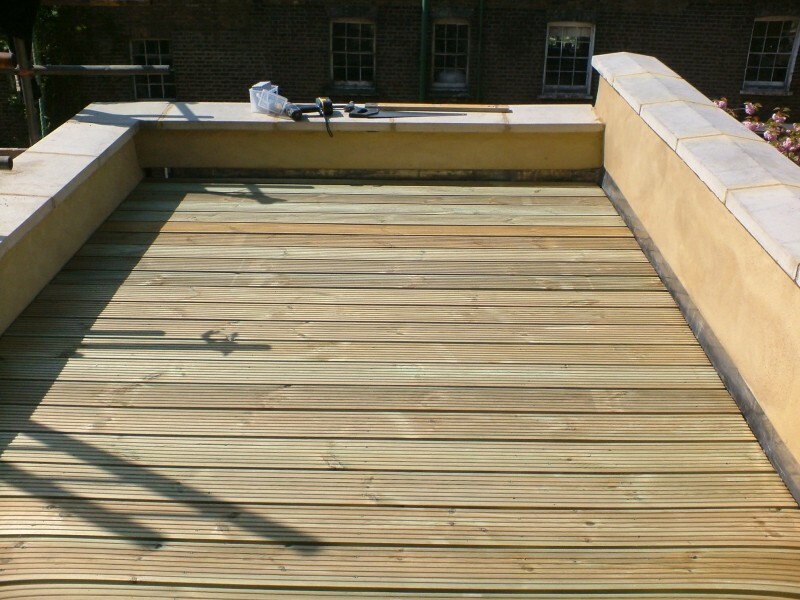 Arrangements were also made for the instaltion of the glass balustrade to the roof edges. 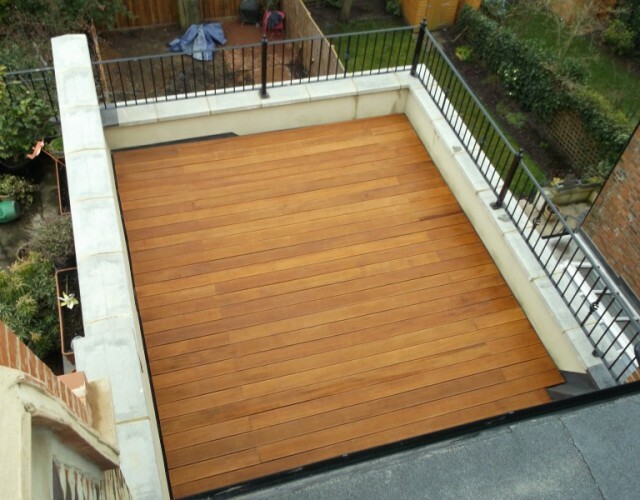 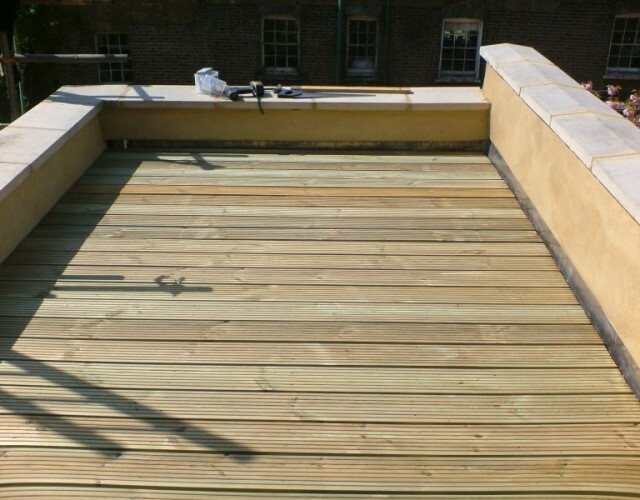 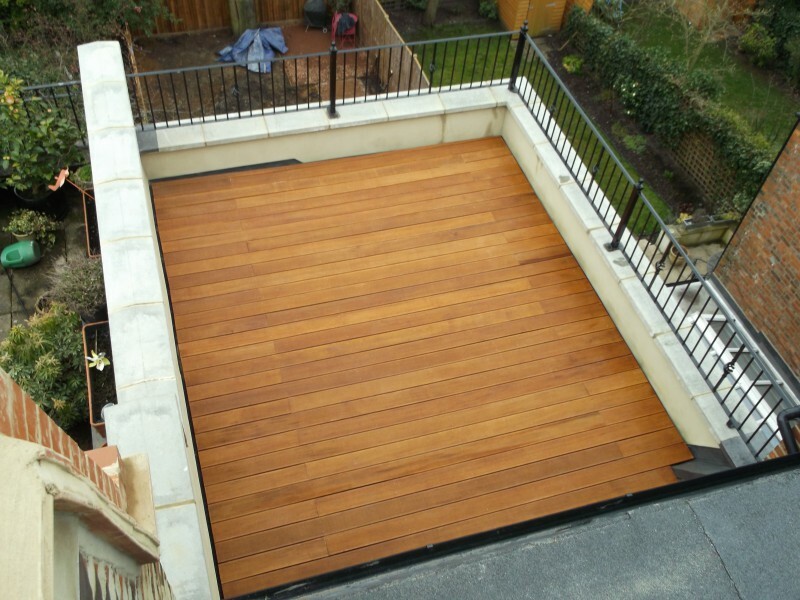 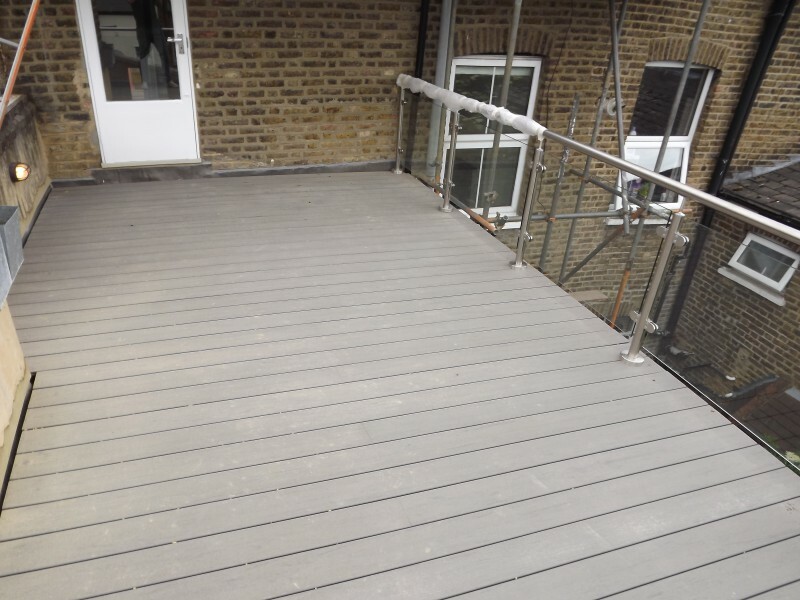 A beautiful hardwood decking fitted to a flat roof terrace.